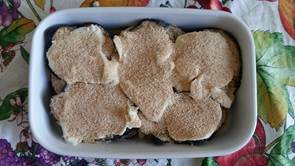 White “Aubergine Parmigiana” is one of the lighter versions of the “Traditional Aubergine Parmigiana” which is probably one of the most popular Italian recipes in the world. The traditional version is original from Southern Italy and It’s a classic for any occasion, either summer or Christmas. 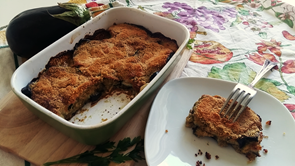 You can follow the recipe to the Traditional Parmigiana di Melanzane on our blog. 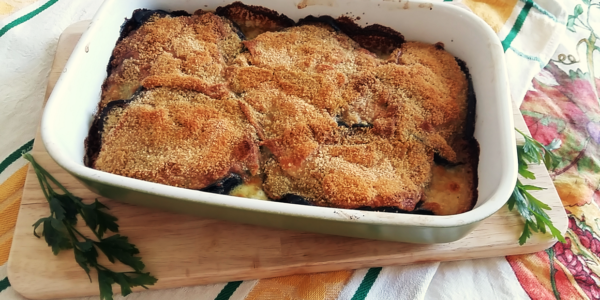 However, this recipe can be quite heavy because the aubergines are fried and seasoned with lots cheese. 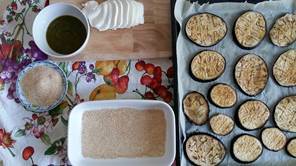 For this reason, today I have prepared for you a lighter version of this stunning dish: The main difference is that for this recipe we are going to bake the aubergines in the oven and add some authentic Basil Pesto instead of tomato sauce. A quick and simple recipe that is delicious even the day after cooking! Are you ready to try this delicacy? 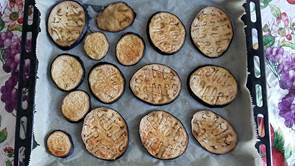 Wash the aubergines and cut them into slices of 1.5 cm each. Remember that eggplant loses moisture and shrinks when cooked. 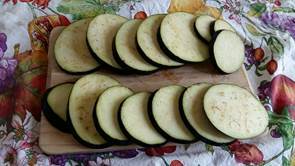 To compensate, cut the raw eggplant into pieces about twice as large as you want the cooked pieces to be. Place them on a baking tin covered with baking paper. Make a few slits in the flesh of the aubergine lengthways. 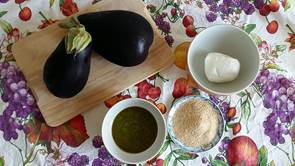 Drizzle the aubergines with Extra Virgin Olive Oil “Il Vero” and sprinkle with salt. Bake in the oven at 190-200°C for 20 minutes. 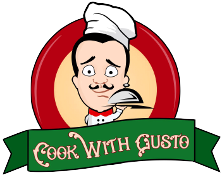 Take a casserole and evenly distribute the bread crumbs along the bottom of the baking dish. Distribute the bread crumbs along the bottom of the baking dish. 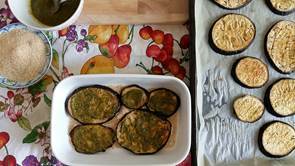 Make a layer of aubergine slices along the bottom of the baking dish and spread Basil Pesto on top. Add the slices of fresh mozzarella on top. 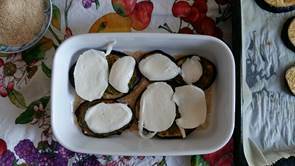 Again, make a second layer of aubergine slices, Basil Pesto and mozzarella. Repeat the process until the casserole is full. Finally, be generous with the last layer of mozzarella and add bread crumbs on top. Finally, be generous with the last layer of mozzarella and add bread crumbs on top. Your White “Aubergine Parmigiana” is ready! So delicious with the melting cheese and the garlicky flavour of the Basil Pesto! Don’t miss this stunning recipe, enjoy and.. Buon Appetito!